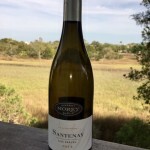 White Burgundys are some of the most sought after and expensive white wines in the world with well rated, and even marginally rated examples selling for well over $100 per bottle. So when I saw this Chardonnay from the Mâcon region had received 91 points from Parker himself and it was priced at $12, I had to try it. Last night I grabbed this bottle and headed to our favorite BYOB where it went perfectly with the pan-roasted skate wing special. 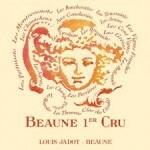 This wine is a stark contrast to the big buttery domestic Chardonnay style. It features crisp acid and beautiful notes of peach and pear. It sees no wood, so you end up with a very focused wine that’s a perfect fit for seafood. 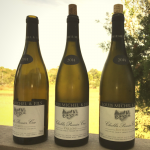 I’ve been very impressed with several of the 2011′s from the Mâcon region of Burgundy – an area increasingly recognized for value. 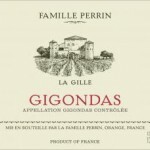 Had this wine been produced up north in the more prestigious Chablis region, the pricetag would be 5-10x. Consider us, the value seeking, savvy (and great looking) consumer the beneficiary. LA Wine Co’s lowest price in the country doesn’t hurt either. Don’t to forget to mention “Nickel and Dime Wine $25 Shipping” in the notes for $25 flat case shipping! Details here. “Another killer bargain is the 2011 Macon Les Morizottes. It reveals notes of wheat thins, brioche, caramelized citrus and buttery white peaches in a fresh, medium-bodied, fruity, dry, unoaked style.